Ishtar - Aphrodite - Venus; the goddess of all things United has just entered the Zone of Alchemical transformation and is slowly slipping from the dawn Light. Since August 15, 2015, when the divinity of night last meet with Ra, in his righteous image of the Lion-Leo. Venus has been performing duties on behalf of the Sun God. Morning arising, and then laying hidden throughout the twilight and evening night. She is again heading for a meeting with the elixir of Life, the Golden Star, a hydrogen powered nuclear furnace. 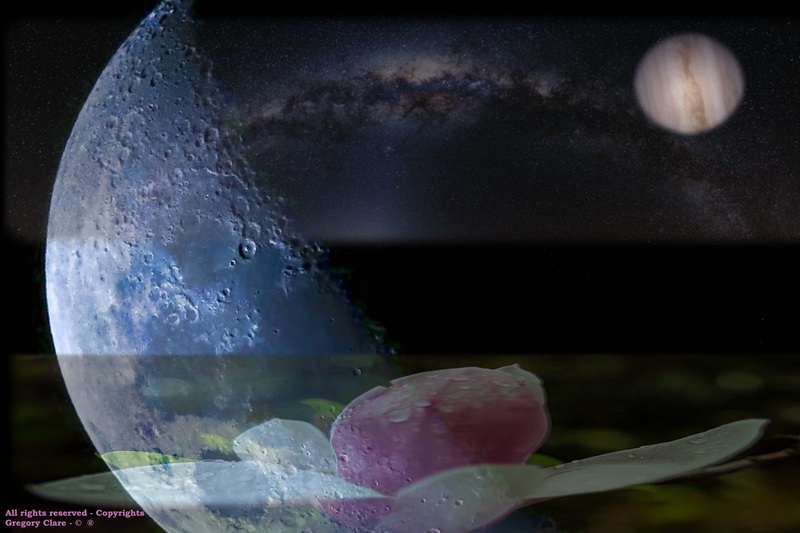 However as all things viewed geocentrically from the heart of Gaia are subject to change, Venus will now be representing the interest of the Divine Selene - Moon goddess. June 6, 2016, @ 22:48:41hrs UT:00 Greenwich, UK, the goddess of love will undergo an interior alchemical transformation. On the evening of July 4th, 2016, UT, a new Moon will signal the coming of the sacred and virtuous deity. And on July 5th in the twilight of the interchangeable a divine message will be sent across the Sky as the royal Moon and Venus appear in all their Splendour.